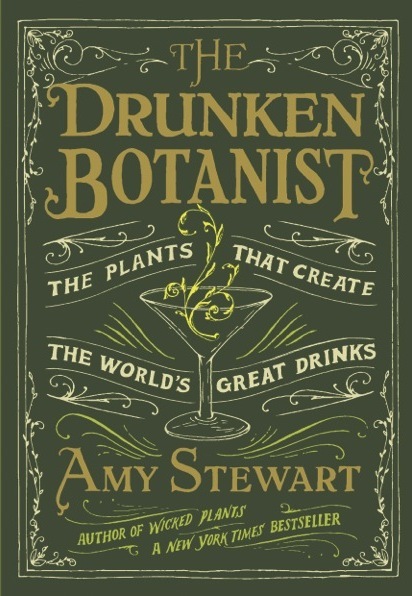 Always popular, author Amy Stewart, talks about her latest book The Drunken Botanist, a spirited look at plants turned into alcohol. Amy Stewart is the award-winning author of six books on the pleasures and perils of the natural world, including four New York Times bestsellers, The Drunken Botanist, Wicked Bugs, Wicked Plants, and Flower Confidential. Learn about the nationwide resurgence in using fruits, roots, stems, leaves and seeds to make tinctures and bitters, sangrias and herbal concoctions of all varieties, and chart your own course for becoming a mad botanical scientist behind the bar! Check out these botanical drink recipes created by Amy, to get in the mood for this very special evening. Don’t miss this chance to meet one of our favorite authors and botanists!